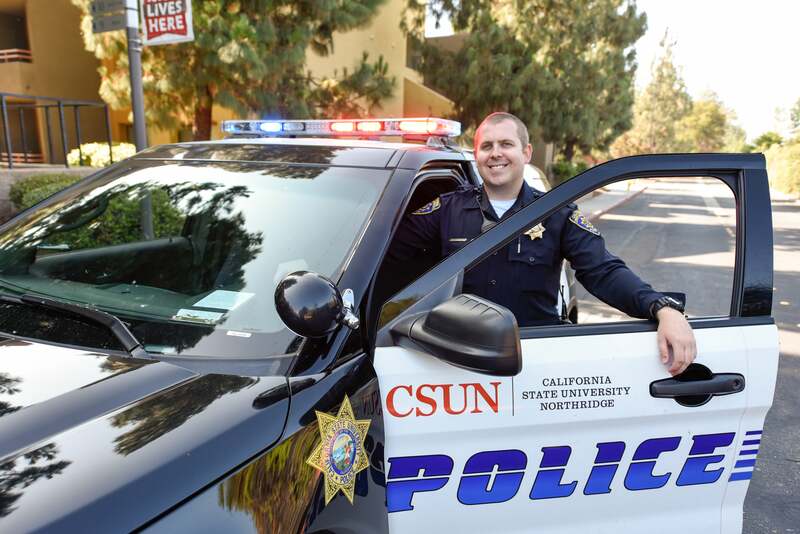 The Police Operations Division of the California State University, Northridge Department of Police Services is divided into four primary functions that include the: Patrol Unit (read more below), Police Services Communications/Dispatch Unit, Investigations Unit, and Community Policing Team. Read more about the specialized units which includes the K9 Unit. The Patrol Unit is at the core of the University Police Department when executing the fundamental community-policing values and philosophies expected of its 28 sworn officers. Providing a multi-dimensional and directed patrol approach to the law enforcement services they provide ensures a consistent proactive approach in meeting the community's expectations of excellent public service. The division functions primarily utilizing four, 12-hour shifts, providing continuous patrol of the University and surrounding community 24 hours a day, seven days a week. Uniformed police utilized proactive multi-dimensional patrol techniques through the use of police cars, motorcycles, T3 electric vehicles, bicycles, and foot patrols. Directed patrol plans are integrated into this approach by shift supervisors on a daily basis, using crime analysis and other data to impact problem areas on the around campus. During 2015, uniformed officers within the patrol division were involved in over 20,000 incidents that were either self-initiated or in response to radio calls.